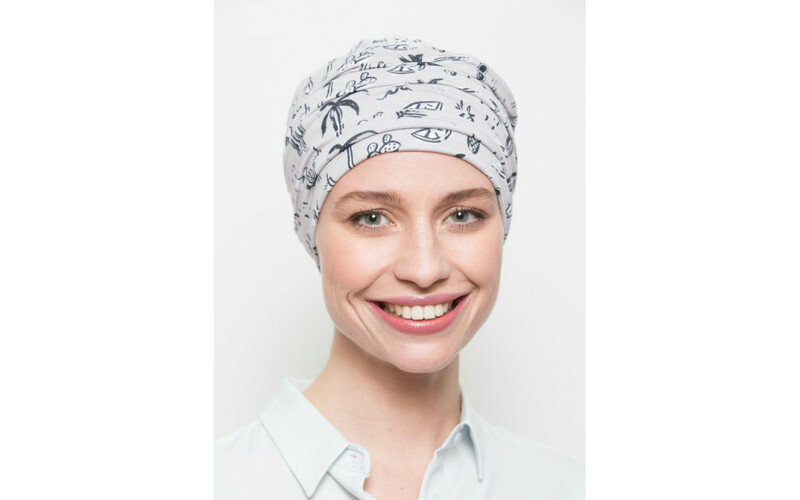 This chemo hat Playa will soon become one of your favourites if you prefer an understated look with a modern twist. 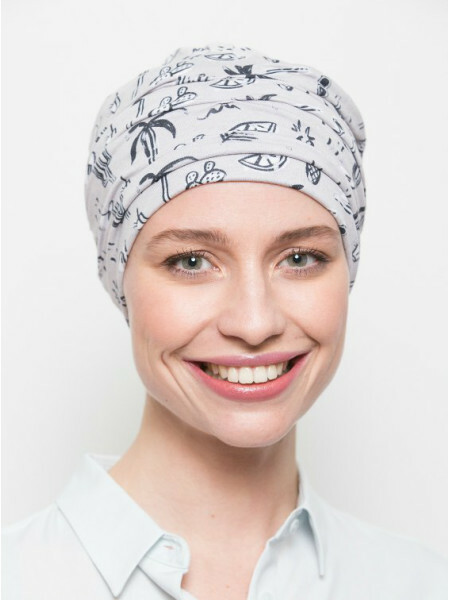 The black and white accents of this playful print brighten up the grey-beige background of this post-chemo turban. The perfect all-rounder for any season and every style!